It’d be wonderful if the only tell-tale signs of advancing age were increased wisdom, a wider perspective, and improved confidence. Unfortunately, another common sign of aging is etched on your face, where hormonal, environmental, lifestyle, and genetic influences combine to cause the formation of wrinkles and fine lines. 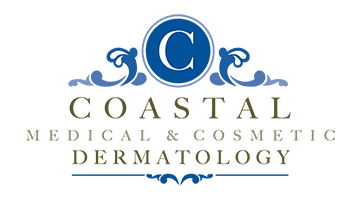 At Coastal Medical & Cosmetic Dermatology in San Diego, La Jolla, and Chula Vista, California, board-certified dermatologist Dr. Darrell Gonzales offers Botox® Cosmetic injections to patients who want to diminish the appearance of lines and keep their skin looking fresh. Call the office or book your appointment online today. Botulinum toxin (Type A), also known as Botox Cosmetic, is a natural, purified protein that’s commonly used to help erase fine lines and reduce the appearance of deep wrinkles. Botox, which is a neurotoxin, leaves your skin looking naturally smooth by blocking the nerve signals that cause your facial muscles to contract. The protein is injected in small doses at specific points in your facial anatomy to relax certain facial muscles and help decrease the appearance of wrinkles and creases. Botox Cosmetic is also effective for correcting facial asymmetry and relaxing tight neck bands. What type of wrinkles does Botox target? Although Botox also has a noticeable effect on static wrinkles, or the finer lines caused by sun damage, genetics, and smoking, these wrinkles tend to be more responsive to laser skin resurfacing treatments. Prior to receiving Botox injections, you’ll have an initial consultation and evaluation with Dr. Gonzales so you can discuss your aesthetic goals and make sure you’re a suitable candidate for the treatment. Then Dr. Gonzales prepares the injection and let you know what you can expect during the quick procedure, which typically takes about 10 minutes. Because the needles are tiny, Botox injections are virtually painless. Most patients get the results they’re looking for by having several small injections throughout the treatment area. Afterward, you may experience minor swelling and redness at the injection sites, but these side effects are generally mild and short-lived. Botox Cosmetic ranks as one of the most popular aesthetic treatments because it brings immediate results: Most patients begin to see smoother skin within 24-48 hours. It also carries few risks or side effects and requires little to no downtime, which means you can resume to your normal activities right away. Although Botox results aren’t permanent, they do last an average of three to six months. If you want to maintain your new, younger-looking skin for longer, all you have to do is come in for a periodic Botox boost.